Richard Millett’s recent post on the subject of the Russell Tribunal on Palestine’s (RToP) book launch held at Amnesty International’s London premises (where else?) provides a good opportunity to take a look behind the scenes of such an event and to examine the connections of some of the various players and the manner in which some anti-Israel activists attempt to co-opt legitimacy to their campaign by intellectualising it. The book in question is entitled ‘Corporate Complicity in Israel’s Occupation’ and is based upon the ‘evidence’ presented at the RToP session in London last year. Its editors are Asa Winstanley and Frank Barat and it is published by Pluto Press. Asa Winstanley is heavily involved with the International Solidarity Movement and spent time in the PA controlled territories working on its behalf. Winstanley’s ISM links appear to have continued after his return to the UK and he has been involved in recruiting volunteers and fundraising for the organisation. He apparently considers his stint with the ISM to have turned him into a Middle East expert, and writes for a variety of outlets including ‘Electronic Intifada’ and ‘Ceasefire’. Winstanley’s level of ‘expertise’ on Israel can be appreciated in the following passage. “When I lived in Palestine, on the few times I had to travel to Tel Aviv from the West Bank (via Jerusalem,) walking around the public bus stations I was struck by the sheer number of armed, uniformed soldiers who used the public bus system. Anyone who has used buses in Israel for any length of time will tell you they often have more soldiers than civilians on them. Recently Winstanley has invested much in defending the case of Northern Islamic Movement leader Raed Salah who was arrested earlier this year in the UK. (The Tribunal decision is here.) Here he is being interviewed on the subject by Dr Hanan Chehata (also press officer for Daoud Abdullah’s MEMO) on the Muslim Brotherhood-linked ‘Al Hiwar’ TV channel which was established in 2006 by Azzam Tamimi. With lies and distortions in practically every sentence, not to mention the liberal sprinklings of ‘Israel lobby’ conspiracy theory and false accusations of ‘Islamophobia’ against the CST and the Board of Deputies of British Jews, it is easy to appreciate why Winstanley is such a hit in anti-Israel circles. Particularly interesting is his declaration that the new book he co-edited is designed to be a ‘handbook’ for those engaging in BDS. The book’s other editor is the currently UK domiciled French activist Frank Barat who is also the co-ordinator for the Russell Tribunal on Palestine. Barat is also a member of the Palestine Solidarity Campaign (PSC) and the UK branch of ICHAD. In January 2010 Barat spoke as RToP representative at one of the Palestine Memorial Week events which the RToP now organizes annually together with the Palestinian Return Centre, the Palestinian Forum in the UK, the European Campaign to End the Siege on Gaza, the Islamic Forum of Europe, FOSIS, the Muslim Association of Britain and the Islamic Human Rights Commission, among others. The majority of these organisations have direct links to Hamas – a proscribed terror organization in the UK – and the Muslim Brotherhood. The events are endorsed by the PSC, Friends of Al Aqsa, the ISM, the Free Palestine Movement (organizer of flotillas) and Labour Friends of Palestine and the Middle East. Barat is also busy on the lecture circuit: here he is for example appearing alongside a Guardian reporter at a Tower Hamlets Jenin Friendship Association event, and here, alongside Ghada Karmi and Jody McIntyre, explaining why he is an ‘activist’. Barat also appears to have links to the ISM and in addition writes for a number of outlets including Al Jazeera, ‘Electronic Intifada’, the Palestine Chronicle and others. Here is his report for Ma’an from the recent RToP session in South Africa, written together with Al Shabaka’s Victor Kattan who was reporting from the event on Twitter. Barat also runs his own blog where he links to, among other extremists, Gilad Atzmon, whose antisemitic resume includes leveling the explicit charge, on his blog, that Jews are indeed trying to take over the world. Barat is also the editor of a book by Noam Chomsky and Ilan Pappe. Here is Barat’s distinctly incomplete account of the death of Jawaher Abu Rahma. “Jawaher probably chanted “la la el jidar” (no, no, to the wall) and walked, side by side with others, towards the Apartheid Wall and the line of soldiers, waiting on top of the hill. She then probably run away when the first tear gas were fired, regrouped, and walked back towards the wall again. ……Or maybe she did not. Not this time. Both Winstanley and Barat are obviously wedded more to the ‘narrative’ which promotes their careers as ‘activists’ than to the kind of objectivity and adherence to fact one would expect from the editors of books or serious publications. One must therefore ask why a publishing house would select them for that role and the answer to that question is probably best found in an understanding of the ideologies adhered to by founder and publisher of Pluto Press, Roger van Zwanberg. Many of the authors on Pluto’s authors list are household names to those familiar with the anti-Israel scene: Alastair Crooke of Conflicts Forum, Sarah Irving, Mazin Qumsiyeh, Uri Gordon of ‘Anarchists Against the Wall’ and Ted Honderich – who published at letter at the Guardian morally justifying suicide bombing against Israeli civilians – to name but a few. Pluto Press’ radical agenda is, however, not entirely limited to the subject of the Arab-Israeli conflict. In 2005, for example, it published a book (preface can be read here) entitled ‘Conjuring Hitler; How Britain and America made the Third Reich’ which, according to reviews, leans on the works of Holocaust Denier David Irving among others. The publishing house also has its own Youtube channel, organizes events at universities and other venues and dedicates a page on its site to the Russell Tribunal on Palestine. 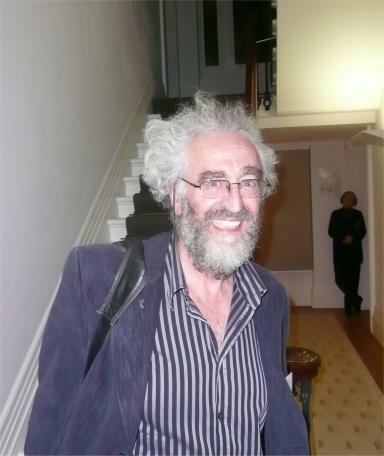 In addition to his activities at Pluto Press, Roger van Zwanenberg was also a trustee of the apparently now defunct ‘Gateway Trust’ (also known as the ‘Van Zwanenberg Charitable Trust’) which included Naomi Klein and former Guardian employee Victoria Brittain among its group of ‘international advisors’ and which was supported financially by the Organisation of the Islamic Conference, UNESCO and Pluto Press. He has also been a member of the advisory board of ‘Just Media’ (founded by the Palestine Chronicle’s Ramzy Baroud – also a Pluto Press author) along with Ilan Pappe, Noam Chomsky and John Pilger. Van Zwanenberg describes himself as a Marxist born into “a Christian family with deep Jewish roots; all my first cousins were and are deeply Jewish.” That fact is, apparently, sufficient grounds for pulling the ‘asaJew‘ card when deemed an advantage. Here van Zwanenberg has signed a 2008 ‘Jewish opposition statement to attack on Iran’ organized by ‘Jews against Zionism’. He is also a member of ‘Jews for Justice for Palestinians’. “Israel and its people are now behaving with impunity, just like the State of Germany did in prosecuting the final solution. We are schooled in the belief that we must say “never again!” to such barbarity. But Israel knows that all the surrounding states are too weak to intervene. As we watch with horror the invasion of Gaza, we all feel our helplessness. All the fine words, how the horrors of the Holocaust must always be remembered, are quickly forgotten by the world’s governments as the Jewish people of Israel re-enact the horrors of their German oppressors—the horrors that their mothers and fathers underwent 60 or more years ago. In 2008 van Zwanenberg lent his name to a campaign for the reinstatement of a German academic, Ludwig Watzal, removed from his tenure at an official periodical after making a series of anti-Semitic remarks. Coincidentally or not, Watzal had produced a glowing review of one of Pluto Press’ publications the previous year. Of course in reality no-one is threatening van Zwanenberg’s free speech or the existence of his business, but free speech is a two-way street. Members of the public have the right (and perhaps the obligation) to be aware of the extremist ideologies which motivate the publication of the type of quasi-academic work produced by publishers such as Pluto Press, particularly when it comes as a result of collaboration with a ‘tribunal’ which misleadingly affords itself quasi-legal status and faux ‘human rights’ activists such as Winstanley and Barat with links to terror-enabling organisations. If this bunch of losers and moral trash represent a significant segment of modern western “intelligentsia”, then the West is gone for good. With close to 2000 activists as members – alongside 80% of Tory MPs – CFI is active at every level of the Party. That’s right, because alone of all the world’s peoples the Jews do not have the right to try to make their voices heard. Everyone else is entitled to go into politics, to try to make friends and influence people, and to vote according to their own consciences. Only the Jews are required to remain mute when their lives are threatened, to lower their heads when lies and slanders are flung at them, to put up with physical attacks and threats, and to allow the worst of the world to decide their fate. Are you out of your alleged mind? Just because you don’t like uppity Jews who dare to defend themselves, that is too damned bad. We have the same rights as anyone else, and we will be damned if we ever allow creeps and sickos like you to deny them to us again. The only people who worry about “The Lobby” are racist bigots. Take a good look in the mirror, although if I were you, I would worry about it breaking. Ugly is as ugly does. I’m totally with you Irit! Irit, how would you feel if 80% of the Knessset were members of a lobbying group of a foreign nation nevermind funding illicit acts inside the israeli Foreign office? Irrelevant, Arsene. Your language is a dead giveaway of a member of “the joos are conspiring against us” tinfoil hat brigade. Bet you can’t quote how many Islamist lobbyists there are to the government of the UK, apart from Jenny (Forked) Tonge, and Lord “thousands of Muslims will march on parliament if we don’t get out way” Ahmed and their fellow travellers, as well as the Foreign office mopes we don’t yet know about. By the way i have better manners and more self-respect than to resort to the type of insults contained in your post which reflect more on you and the values you hold than on me about whom you know absolutely nothing. You are a passive-aggressive antisemitie arsene who thinks he can dress up his hatred as something else, but to call you well mannered after the incitatory nonsense you post here is rather than putting lipstick on a pig and calling it beautiful. What actual values DO you hold which come from you yourself, rather than are called into questionable being by some of the rubbish posted elsewhere about Jews and Israel? Does the Israel hatred give you an emotional (for it surely isn’t a reasoned and logical) release for your animus against Jews? What is it about you and what you say here that entitles you to being treated respectfully and yet to feel free to insult us? Do “uppity Jews” rock your perceptions of your whole world? I certainly hope so, because there’s much, much more where that comes from. Do you really think that ‘debating’ in such a manner reflects well on yourself and your cause? I at least respected the rules of the forum with regard to ad hominem attacks. the antisemitism you displayed above is also against the rules of this forum, so your “respect” is worthless isn’t it? And then come back and apologise and if you are lucky and make a decent fist of it, you may get your debate after all. There is nothing I have said that is anti-semitic. the author talks about the subject in the piece and I point out why some might believe there is an Israeli or Jewish conspiracy. I have not said there is such but have merely asked how an israeli would feel if similar events were occurring in the Knesset. Refusing people the right to question is tyranny. Are you another literal thinker Arsene? You have implied that Zionists/Jews hold inordinate power – straight out of the Protocols, and you have consistently ducked the questions, probably because you don’t know the answers about the Muslim/Arab lobby in the West. Can’t you tell us or is it that you daren’t or are too lazy to research it? The passive-aggressive nature of your post is evident and the “tyranny” is imaginary and your hyperbole. Your “some people think that” is a way of deflecting responsibility from yourself and admitting that you think it, but you are transparently obvious. And you haven’t answered either whether you hold any other conspiracy theories about Zionists/Jews either from the Protocols or from elsewhere. That’d give us a more rounded picture of the motive for your question. No, answering a leading question designed to confirm your prejudices is not why I came on here. I asked a question about a point raised in the article about why many may believe in an Israli or jewish conspiracy and received not reply. If i said the UK, France and Israel were invlolved in a conspiracy to attack another country you would scream anti-semitism, if i said it in early1956 it would be true. The conspiracy canard arseneknows is one that has been levelled against Jews for centuries. The blood libel is the most notorious. But there were others. Jews were held responsible for cholera outbreaks. Jews have been held responsible for 911. The accusations are so preposterous. I think the question to ask, is why has there been a need among Christendom and Islam to proliferate such falsehoods. When you have a go answering this question, youi wll be 200 years old before you conclude it. Now there’s an answer. Now here’s a question that will take a minute to answer, if you are half decent. Why do you keep on asking such leading questions? If I said that Arabs would hijack passenger planes and rather than fly them to some country like Cuba or Libya, would fly them into buildings killing all passengers and attempting to topple buildings you would scream “Islamophobia”!. If I said it after 9/10/11, you would scream “islamophobia!”. Do you actually deny that what you have written above is mean-spirited and antisemitic Arseneknows? If not, what would you call it? How do you justify it, because it certainly reflects your questionable opinions rather than facts. Why on earth should you merit respect because of it? Can you give us, in the interests of the even-handedness you probably profess to value, the percentage of Muslim/Islamist sympathisers in public life in the UK, or lobbying MPs and noble Lords in parliament? Have you bothered to find out? How do you justify it, because it certainly reflects your questionable opinions rather than facts. Yes I do deny it. i asked how it would feel if the 80% of Knesset members were members of a foreign lobby group and funding an illicit operation inside the israeli foreign office, instead of a reply I got immature insults. Do you not wonder why people just give up trying to engage if the responses here are typical? CFoI is a nice counter to SFoI – Socialist Friends of Islamofascism. Are you really so dense and unaware that you are such an antisemite? (You must be, otherwise you would have slunk away by now instead of trying to justify your nonsensical opinions as if they are sound). Your post featured one main tropes of antisemitism, that of the accusation of Jews holding inordinate power which they allegedly use for their own devious ends and you have done it yet again above! And you still haven’t answered my question, (which, if you do might diminish the poison of that attitude, albeit slightly and go towards proof that you are actually capable of engaging in the debate you say you want), about the Muslim/Islamist lobby in the UK of which the government is terrified and which it appeases left, right and centre? What percentage of Foreign Office positions, civil service positions are held by Muslims sympathetic to Islamism? Daren’t you answer, or is your silence on that because you are ignorant of the statistics? Go and find out, post them here! How dare you come here after such a declaration, demanding debate.as if you are a disinterested equal? Why should anyone want to debate with someone who is so ignorant that he doesn’t even realise when he’s being an antisemite? What entitles you to respect at all in the light of what you have said and repeated? No it didn’t, read it again or find an adult to help you. I suggested a reason why some people might believe there is a conspiracy and asked how you would feel if the same activities took place in Israel. Adam Werrity was funded by BICOM supporters who also fund CFI which boasts it has 80% membership of the MP’s in the British governing party. their claim not mine. Adam Werrity was working with the Minister of Defence! Can you imagine the outcry in Israel if a foreign-funded NGO had an unauthorsied person working with the head of the IDF. Meetings were arranged by Werrity between the UK Minister of Defence and the Mossad. So that’s facts not opinions. Given the above I asked if it would maybe be the case that this at the least could give rise to some having a suspicion of an Israeli Lobby conpiracy. I have no idea why you are asking me to talk about Islamist sympathisers as it has absolutely nothing to do with anything I’ve said. You are typical of the worst kind of online bully; mindless insults, change the subject, ad hominem attacks and anything else that can be used to get the subject away from something about which you do not wish to talk but then this site is hosted in Texas, hardly a world centre for coherent debate. I googled “Werrity” and “Mossad” and the first link was to something called Liberal Conspiracy (it’s all in the name) and the second to Trickie Dickie Silverstein, whose hate-filled burble is beloved of regular visitors to this blog! As if these didn’t present enough of a threat to truth and facts, after that came the New Statesman, of Mehdi (kuffar are cattle) fame, and we all know that the rot starts from the top. After that were links to something with digitalspy in the title and the MPACUK. In hot pursuit came Islamic Intelligence and the good old Guardian. None of those sources are particularly disinterested, are they? Heaven knows how many Islamist sympathisers are funded by the UK government and are in positions of high authority. Given the choice, I would much rather not have some Islamist-sympathiser dripping poison in a crackpot minister’s ear. After all it was a “trustworthy” Foreign Office employee, Mockbul Ali, who tried to convince the ignorant and clueless government of the day that Yusuf Qaradawi was a moderate. Only when his lies were leaked to the national press was the ensuing outcry enough to get him the sack and Qaradawi banned from spreading his poison here. And why on earth should Lord Ahmed have a problem with Geert Wilders’ visit if Ahmed is a good British citizen? Instead of threatening to call out thousands to stifle Wilders’ right to freedom of expression, he should have been supporting it and speaking out against Islamism in the UK. I am not at all surprised that you should try to deflect my question about Islamist sympathisers in positions of influence in UK political parties. Your blinkers are welded to the sides of your head. Arsene, why do you think the UK provides refuge and protection to Islamists who fundraise and shill for Hamas? Why do you think that Jewish people don’t resort to the sort of antics Hamas and its UK shills resort to? Do you think that if Hamas believed it was in the right that would be so self-evident that it wouldn’t need to incite or bleat as you do when people criticise? Isn’t it racist and antisemitic for you not to admit that British Jews and others should have the right to access the means to defend themselves against the abuse such people engage in? Why are you so paranoid as to attribute that defence almost to some sort of nefarious power they exert? Which other conspiracy theories do you believe in? So Israel would not allow a foreign NGO similar to BICOM to operate in Israel – so now I leave those of you who support the hypocrisy and the laws muzzling the Israeli press and I sympathise with those many Israelis who are appalled at the direction their country is taking. Nobody did. SarahLeah merely asked you a question. I am interested in your answers, too. How many other conspiracy theories do you believe in? My 4 year old answers a question with a question the only adults I know who do so are politicians , criminals or liars. In psychology it is called deflection: a diversion intended to distract attention from the main issue. I have asked a very specific question about a very specific phrase and I am being asked, amongst other things, to explain the UK relations with Hamas, how many sympathisers it funds, I’ve been accused of wanting to deny israel the right to defend itself, and asked to talk about people of whom I’ve never heard. I am told the only people who worry about ‘the lobby’ are racist bigots whilst the Knesset is passing a law in Israel dealing with the funding of foreign NGO’s so I assume, by your logic, those seeking to pass that law are also ‘racist bigots’? Is i chuileag bhuidhe bhuachair as àirde srann. Arsene you are nothing if not obsessive which should be of concern to you. Your first question here is offensive at many levels, given where you are posting it. At that stage, when challenged, you could have avoided the very flimsy “I was only asking” defence which was transparent and insulting to the intelligence, but instead your subsequent posts here bear out that you intended to insult. Your paranoia and too-ready belief in conspiracies comes across in your posts too. Snigger, above, correctly pointed up the passive-aggressiveness in your original posts. As I said, you should have withdrawn then but you continued to obsess and to dig yourself in deeper. I would not be surprised if you knew full well how your post would be construed, and perhaps you might even have got some sort of buzz from that. If you come here asking such questions you should be prepared to deal with whatever anyone asks you in return and cope with disagreement with your opinions. Having been insulting and persisted in that vein then you certainly should not expect the right to have your subsequent questions treated with respect by any of the posters here. I am not entirely sure what the Scottish proverb, that the dung fly makes the greatest hum, has to do with your posts here other than by offering us that in Gaelic may be to try to give your opinions more weight. Becuase it is so much easier to throw insults than to say that you don’t wish to answer a perfectly legitimate question. I dno not need nor ask for respect from those who show such a lack of self-respect. Not mine but those trying to shout me down. I will not be intimidated online or anywhere else by people who use their right of free speech to try and deny others theirs. Now if you’ve nothing constructive to say I would say that our ‘conversation’ has been a waste of time on both sides. then you are as sad as Silvertrees. Q: Do you actually mean yourself? Who precisely is trying to deny you your freedom to speak? A: No-one! Many people have replied and have shown your arguments to be at least disingenuous, at best dishonest but you are still allowed to present them here. Q: Have any of your deeply offensive posts been deleted? A: Again, no. Had this site been run along the lines of CiF then you would have been premoderated by now and you know it. So, why do you feel so intimidated? Be upstanding and dish out your misplaced, passive-aggressive opinions but do not expect them to be agreed with and do not complain here when they are not. That makes you look childish and petulant. “They’re all trying to silence me” will not work here! No-one is trying to shut you up and if any of your remarks are deleted that will be because you have been even more antisemitic than in your first post above. You do us favours when you carry on as you do because you give us the chance to answer. CiF would not. Many of us are old hands at dealing with people like you and we have found that the best way is to undermine their arguments is with hard facts. You have absolutely no right to complain when this happens and just because uppity Jews watched you fall into an elephant trap of your own making. No you have found the best way is to lie, insult and scream that evrything you disagree with is anti-semitic. Where is the open and honest debate? Accusing Jews (Irish) as a people of being responsible for real or imagined wrongdoing committed by a single Jewish (Irish) person or group, or even for acts committed by non-Jews (non-Irish). You’ve done it yet again, Arsene! Are you even aware of it? Ah, it’s an Irish racist bigot, well, no surprise there. You can’t claim the right to make claims about other nations that you will not accept about yours. I’d say for a lot of those MPs being a member of CFI is largely symbolic. Sort of like donning a poppy. CFI does not exert anything resembling serious power over government policy. Thank you for replying to me and responding both to the point I actually made and for so doing in a reasoned manner. showing that there is influence, or at least a very strong campaign ot gain influence. NOw there is nothing wrong with this but why the hell was BICOM and its supporters funding a charity inside the UK Defence Ministry and arranging meetings between the minister and Mossad? That “email” looks as if it was typed on a manual typewriter. And Arsene seems to be a drip out of Atzmon’s can. See Disinformation Clearing House for what the barely sane said. You want to talk about disinformation then I notice you follow Toby Greene on Twitter so why don’t you ask him about Poju Zabludowicz..
No denial of Atzmon and Millis? I just looked up the person you name above and wonder why peace in that part of the Middle East seems a problem to you. I am not talking about peace in the middle east, which is an aim that all sane people agree with burt mention Zabludowicz as one of the main links between BICOM, CFI and Atlantic Bridge – his arms company also produced many of the mortars fired into Israel, no doubt from the supplies his company sold to Iran. Now I ask again – what would happen in Israel if the Ministry of Defence were infiltrated by a foreign organisation that organised secret meetings between the miinster of defence and a foreign intelligence organisation whilst the UK is involved in 2 wars? I would refer the not-so-honourable person to the question I posed earlier about Mockbul Ali and other Islamist sympathisers may be employed in positions of authority in the UK government. Soldiers on public transport?! Going home at the end of the week for a spot of mother’s love, home cooking and to stock up on clean underwear. Scandalous! SPSC but but not from UK? Here’s the quote for the piece I was asking about. It deals with conspiracy theories and the danger/stpidity thereof. Sarah Leah assumes I am British, Another Joshua then says French and then Ariadne says i am a member of the SPSC, all of these would suggest to me that these posters are showing the signs of being ‘racist bigots’ that they accuse me of. SilverTrees and SarahLeah ask me how many ‘other’ conspiracy theories in which I believe, if i believed in as many as they do I would really have problems. Not obseessive enough to set up a web site whose sole purpose is to attack, moan , whine, abuse and denigrate others and then to scream and howl that someone who appears to have different views has the temerity to come onto the site and refuse to bow down before the party line. If you just want to share your loathing and hatred between like-minded individuals then make the site private and you can work each other up into paroxysms of self-righteous fury in complete solitude protected in your isolation from a world where some people actually disagree with you. I may be back to grab screen shots and quotes for other sites now you’ve pissed me off, a sort of Cifwatchwatch. It will come in handy for showing how hatred affects rational debate. Feel free to trawl through my posts on CIf I’m sure there’s plenty there for you to get all pompous and holier-than-thou. You really do need to read more about the conspiracy theory mindset and how conspiracy theorists are often powerless to prevent that affecting every fact of their lives. I am not sure, however, how much of that you will be able to take on board. As I see it the questions asked about the Islamist influence in the Foreign Office were well-placed, given the British government’s readiness to appease Islamists and its long history of partiality towards Arabism. I, too, am interested in whether you believe in other conspiracy theories as well as that about what you call the undue influence of Jews/Zionists upon the UK government. It’s as reasonable a question, I think, as your first one here. Show me the quote where I say that – you can ask for help. My ‘motivation’ was to ask for a claim made in the article to be justified and I have observed that it was unjustifiable. I have observed hypocrisy and mendaciousness. I have observed racist attitudes towards several countries including the UK, Ireland and France. I have been blamed for UK foreign polciy and the editorial actions of the Guardian. The only thing I haven’t been is given an answer to my original question. You are assuming that you are capable of engaging in rational debate, arsene. That is one misguided and erroneous assumption. You have a real problem with Zionists/Jews. You have had countless opportunities to clarify why you asked the question you did about Jewish/Zionist influence in the UK government but instead you have dug yourself in deeper. By all means, so long as I don’t read you anywhere else bleating that you have been “driven away” from CiF Watch because they wouldn’t respect your antisemitic comment. Excuse me. Nothing wrong with being French Arsene, even if you were. You are the one who that gave the moniker Arsene, which is a male French name. Aimez-vous football Arseneknows? Heard of Arsene Wenger? but, of course, everybody in those countries worried about such behaviour is a ‘racist bigot’. Try won’t answer your “questions”. Earn the right to put them by coming here in honesty. I haven’t seen an Israel-hater do that yet. Why DID you write the proverb in Gaelic, Arsene? Was it an attempt to seem important or because you hoped we would assume that it was Irish, so you could chase another hare? Many Jewish people speak both Hebrew and another language am I not allowed to speak mine? I tried to think of a simlar proverb in Engish but couldn’t . Difficult to believe, but …….. Yes, must be difficult to believe that sometimes people act for their oown motives and not in a way that fits your pre-determined views. According to his CiF profile, Arsene is a “Left wing extremist” …..
Hand in hand with that seems to go a belief that Israel is an “aparheid” state, see his CiF comment on 9 October 2007 at 10.41am, which shows how little he actually knows about Israel, or about apartheid for that matter. Wasn’t that tried in 1948 or did the Stern Gang just pop round to say hello to their Arab neighbours? Where would Israel be now if the west had adopted the same refusal to engage as it does with Hamas and Hezbollah? How is the murder of a British soldier operating under a UN mandate different to the murder of an IDF soldier by an Arab ‘militant’? Why does Israel have the right of statehood but the Palestinians have to ‘earn’ it? Why did an ISRAELI citizen murder an ISRAELI Prime Minister? If there is no strong pro Israeli lobby in the USA with an inordinate amount of influence how come the USA vetoes almost anything that comes before the Security Council of the UN which is critical of Israel? Is Israel a secular state where Jews can live or a Jewish state with intentions of reoccupying as much of the biblical land of Israel as possible with all that implies for its neighbours? It is because these political, historical religious,moral and ethical questions exist that people simply screaming ‘anti’Semitism’ every time they disagree with criticism have to be confronted and resisted until we can have reasoned discussions, and who knows maybe even reasonable solutions. It is because of the worldwide effects of the conflict that people from the rest of the world rightly have views which they express. Again, note the ignorance about what apartheid is and the usual trope about antisemitism and, yes, the paranoia. Arsene, why aren’t you still posting there? Aren’t they extreme Left enough for you? You can find all my posts by going to CiF and clicking on my name. Some of my posts are not very well put, I have a habit of posting late at night, but I am more than willing to accept responsibility for what I say, not what people say I said. They don’t all show up in seacrh engines because the name is common amongst arsenal football fans. There’s a sentence in there that exposes his utter ignorance of what he was posting about. Apart from all his other manifestations of ignorance. that is. Another of his – dung beetle droppings? Israel has managed to turn a secular Palestinian movement into a fundamentalist Islamist movement, at least in Gaza. I have to say that I rather like dung beetles. The real ones. I gave a source for my argument, you gave an insult – par for the course. It was irresistible, I am sorry to say. How many times do you imagine we’ve seen such antisemitic nonsense. I don’t know wht ‘lefties’ should be a problm, Marx was a fine example of Jewish intellectualism and the many kibbutzim are socialism in action. It’s taken a bloody long time and a lot of mutual ill-will but finally a response that is actually constructive, thank you. So you are capable of reading and responding to what i write, pity it’s what I wrote 4 years ago and not yesterday and today. Maybe you would care to quote from the Author of the article to which I was responding. And what did he say in the second paragraph of his article? More sense and decency in 2 paragraphs than in acres of articles on Cifwatch. But I note you don’t mention the Saudi lobby, the Muslim Brotherhood lobby and all the other Islamist lobbies trying to grab influence in the US in order to undermine it! Were you asleep when the “Imam” Rauf scandal hit the headlines? And as for David Goldberg, he left Indepedent Jewish Voices because he said they lacked focus. It speaks volumes that he was prepared to be a part of an organisation founded on fantasy and make believe. Give it up. You are making yourself look very silly now. No and I didn’t mention alien abduction, Elvis in the supermarket or the fake moon landing, .. all the lobbies mentioned in my post at 1:29 were a quote from a senior Rabbi maybe you should ask him why he didn’t talk about something that would allow you to use your pre-prepared answers? No doubt you are working on a story about how the Iranian atttack on the British Embassy is a plot to allay Israeli suspicions about UK policy. He is not my rabbi, and Goldberg speaks for himself, not all Jewry. You are trying to get blood out of a stone ArseneKnows. The Oborne episode on Channel 4 has been deconstructed many times and trying to make out that there is this Jewish lobby that influences British press and politics. What it added up to was one big zero. But you ArseneKnows continue to scratch the the scab over and over again, just in case something was missed, that might explain thousands of years of Jew hatred. Only a Jew hater behaves in this kind of way. You don’t happen to have once been the person who used the moniker Republicanstone, because you do write the same kind of nonsense? Or maybe there are just 2 of you, in which case I’m frightfully sorry to have confused you for the same person. There IS a lobby which influences British press and politics. It’s called the Red/Green Socialist/Islamist alliance. You are either an idiot, a liar or just plain pathetic. You can’t change facts just because you don’t agree with them. Now unless you can actually operate in the world as it exists rather than some delusional fantasy maybe you would do me the favour of dealing in reality – you are not the centre of the universe and the idea that everyone is out to get you is a classic example of hubris. I think you have deliberately missed the point I made to allow yourself the excuse to render me a liar or an idiot. What is the measure of the influence? Zero I say. This is where it counts you idiot ! And where was your effing so-called INFLUENTIAL Jewish lobby ArseneKnows, that runs British foreign policy eh? And what about the press? You can just about count the pro-Jewish journalists on two hands! There are scores against. What is the overall impact on Britain? Not good overall. And for all the talk and Arsene’s belief in CFI, Cameron (shame on him) left the JNF. And tangential to that, here’s WAFA pretending to be a moral arbiter! There’s a nice lot of truth in those articles. The problem, as I originally asked was why was a legitimate lobbying organisation linked to a murky affair inside the UK Ministry of Defence and that this was the kind of behaviour that could give rise to the ‘‘Israel lobby’ conspiracy theory’ which the author mentioned in the article. This is the only question I asked and now you have taken me on a tour round virtually every controversy in the middle east (very instructive for me because it gives me a chance to go and look at the arguments) and still haven’t answered the only question I wanted answered. Do you want to force them to wear yellow Stars of David on their clothing too? What are you talking about? You make the most horrendous accusations that are so vile as to be indescribable without any evidence whatsoever – no doubt believing that other people must be as deranged as you are. You cloak yourself in never-ending accusations of anti-semitism but attacking you is not anti-semitic it is insulting someone with obvious mental problems so I will leave you to get on with your therapy. Again, what is your position regarding Islamists murdering people IN the UK and Socialists/progressives aligning themselves with reactionary Islamofascists? I don’t have a position because I have no idea about these grroups, the people you’ve named nor many of the events. I haven’t asked about these events, spoken in favour or against these events and I didn’t bring them into the discussion. they are totlly irrelevant to the very specific and very limited question i asked. I have never celebrated the murder of anyone and am not a member of any political grouping eithr formally or informally and my left wing views, of which I make no secrret, are entirely personal. I lived in Spain and one of the trains blown up was one which I regularly used to travel to work from Alcala de Henares. I then lived in London when the bombs went off in the transport system. My father is from Belfast. I won’t trade ‘my tragedies are worse than yours’ but neither you nor the Israeli people have a monopoly on suffering and accusing me of being a Nazi is so abhorrent as to render you in my opinion a s someone who is not worth debating with. You are so far over the line of decency I suggest you ask someone why i am so angry that I could break a life time of non-violence were you near me at this moment in time. You really are a credit to your cause. And you call yourself “progressive” and “anti-war”. Tsk, Tsk, Tsk. And a Happy Nakba to you too. Doesn’t it worry you that the things you know aren’t true? “Israel first” is effluent from antisemites and the Protocols was effluent from antisemitic Tzarist Russia. Clearly you can’t see the wood but you can’t see the trees either. Or won’t. There’s a new post here on a Kuwaiti “cleric” who might be your blood brother. I wonder what leads people to Jew-counting. I believe it was common in 1930s Germany. Will you please now post the amounts of money paid into British universities by Muslim Arabs? Name the beneficiaries and the donors. The Islamic rot in numerous British universities is all too clear. Don’t let it proliferate in the shadows. 3/ Can you give us, in the interests of the even-handedness you probably profess to value, the percentage of Muslim/Islamist sympathisers in public life in the UK, or lobbying MPs and noble Lords in parliament? – Put in an FOI request to the relvant people. 4/ What percentage of Foreign Office positions, civil service positions are held by Muslims sympathetic to Islamism? – I have no idea – ask them. 6/ How many other conspiracy theories do you believe in? – The correct question is ‘When did you last beat your wife?’; a question that has no correct answer. 7/ No denial of Atzmon and Millis? – I wasn’t aware I had confirmed them. 8/ what is your position regarding Islamists murdering people IN the UK and Socialists/progressives aligning themselves with reactionary Islamofascists? – I have never celebrated the urder of anyone for any reason. 9/Will you please now post the amounts of money paid into British universities by Muslim Arabs? Name the beneficiaries and the donors. – I don’t have access to the world’s bank records. – I have nowhere said the influence was ‘undue’, indeed i have pointed out that lobbying is entirely legal, but by inserting that word this person turns a neutral question about a lobby into something more sinister. I would also point out that the word Zionist does not appear in anything I have written except when i quote another person as I believe Zionism has a specific meaning about which i am unsure. Just in case you have forgotten it the question i asked was whether the ‘liberal sprinklings of ‘Israel lobby’ conspiracy theory’ spoken about by the author were not exacerbated by actions such as those which took place inside the UK Minstry of Defence. A specific question, limited in scope. My point Arsene (“And where was your effing so-called INFLUENTIAL Jewish lobby ArseneKnows, that runs British foreign policy eh?” )is that there isn’t one that makes a difference. If Britain acts in a way that is pro-Jewish or pro-Israel, it is for its own interests. Sometimes it is in British interest that Jews, who are British have a point and should be listened to. Very often though, it has little or no political influence. I do not like to be taken out of context. I have not resorted to mentioning the role of Islamists and have not asked you to comment. It has been raised by others though, because you are keen to find fault in one group only and disregard other groups, many with much more influence and clout. You duck the accusations admirably, with language skill, feigned innocence and crass insults through your passive-agggressive stance. I am not here to insult you but I am just holding up a mirror so that you can take a good look at your ugly bigoted face. You haven’t sufficiently defanged what you said for your words to constitute a question. Would be very hard given that on another thread on this site people can’t tell the difference between a painting and a human being. Well some people can’t tell the difference between a cartoon and a human being. And here’s a Belfast-born great friend of Israel. That is not a question. That is a statement. Walt and Mearsheimer wrote a book in which they tried to establish a theory that there was a strong Jewish/israel lobby in the US that prompted US policy decision makers to conduct US foreign policy which ran against US interests. It was a much lauded work among conspiracy theorists, but which on deconstruction clearly was flawed. Peter Oborne tried to make similar connections in his thoughtless provoking piece for Channel 4. My point, for what it is worth is that people make mistakes. 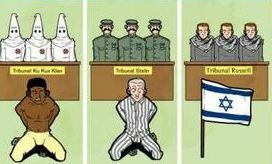 Sometimes they commit crimes Sometimes those people happen to be Jews and many times they have not done anything wrong. if you think that what you say that the associations you have identified as being so serious to justify those who hold such theories have a serious point to make, you will only find disdain. In short: There is smoke(but no fire). A Jew walked passed 5 minutes ago. The Jew probably started the fire. They are guilty, or should try to prove they did not do it.They can’t? They must be guilty. Now don’t pretend Arsene, you know nothing. I wondered how Lord Sacks’s tour of the univesities had gone. University campuses have become a battleground in the campaign to delegitimate the State of Israel. Often this spills over into intimidation of Jewish students. Sometimes it is direct: there have been attempts to ban Jewish societies altogether, or to protest against invitations to Israeli speakers. At other times it is less tangible but still threatening: a palpable hostility to Jews and Jewish activities. University authorities, with some honourable exceptions, have been reluctant to deal firmly and decisively with this challenge. In 1927 a French intellectual, Julian Benda, published a book that subsequently became famous. He called it Le Trahison des Clercs, literally, “the treason of the learned.” In it he accused French and German intellectuals of betraying their classic mission of serving truth and reason in pursuit of wisdom, and instead becoming activists for some of the worst forms of nationalism and racism. Academic life had degenerated, in his graphic phrase, into “the intellectual organisation of political hatreds.” Only a tiny minority of British academics are guilty of this today, but many see it happening and say or do nothing. Lord Sacks ends up heartened by what he found. But he is an outstanding figure in many ways including his interfaith work. He is also a great speaker. I have been looking at your original and subsequent posts, ArseneKnows. The connotative meaning of your original question (look it up, you appear to like dictionaries) that you do believe that there is undue Jewish influence in the UK, is now made clearer by the thrust of your subsequent posts and your post above, and by your somewhat obsessive and and self-serving denials of what you intended us to construe from it. I am wondering why it should come to your notice at all that there is an “unusual” number of Jewish people who contribute to British life. It speaks volumes that you choose to notice them because they are Jews rather than because of their contribution, and you appear not to realise that this very fact, (again with your original question) may well be offensive to others here. You are not telling us the truth or dealing honestly with yourself if you would have us believe you are speaking only hypothetically, and in the light of your subsequent answers, why should your motives merit enough respect for that question to be answered? It appears you are extremely emotionally exercised and obsessed (as you have illustrated here by your posts) by the notion of Israeli/Jewish power. It should be of concern to you that you cannot distance yourself from this to approach it logically rather than emotionally. To reply in kind would be illegal but then, being a coward, that is why you use such an insult. How could you “reply in kind”? The “nakba” was Arabs making Arabs suffer. You’re awfully fond of dictionaries. All through the book, starting from the introduction, you can read how Arab leaders betrayed the Arabs who would have made peace. Including the deliberately lost knowledge of Arab responsibility in 1948. Sorry, only the title was meant to be bolded. In a hurry again. No idea why it’s bold. You have not answered my question Arseneknows or is it Republicanstone? You’re the unreasoning ignorant. There is no cure. I don’t know where the bold is coming from. Arsene, Ariadne is not “celebrating” any disasters. She merely highlights the fact that the refugee crisis was predominantly caused by the Arabs and not by anyone else. The Arab lobby machine will continue to refuse to see it that way, because it will involve tacit admissions of failure in several other departments, and sometimes with no less tragic outcomes for millions of people, including Jews. You are mounting a high horse to make more stupid accusations. from thank God I’m an Infidel. You will also note that I have deliberately not assigned any political motives, blame or accusations around the word nakba but used its literal meaning as i am not prepared to get involved in an argument about who did what to whom in 1948. TGII’s way of agreeing or disagreeing. If he agrees, it’s AKBAR. If he disagreesit’s NAKBA. I guess that in your case, you are unlucky.He disagrees. The “NAKBA” is the nickname for the Arab Islamofascist FAILURE to destroy Israel, just 3 years after the end of the Holocaust. And that Israel CONTINUES to prevail over its jealous islamofascist neighbours and its Socialist foes on “the continent”. There are other reasons for the decline today. Lower birth rates and the present economic conditions are dire. The construction industry made certain of that. Many continue to leave Ireland, Sad. I love Ireland when I visit and wish them a speedy recovery. Happy ETERNAL Nakba to you and your fellow outstretched arm saluting friends! And for the icing in your cake, I present a video of the UNCONDITIONAL SURRENDER of your heroes. You’ll find the names of many of my relatives on this site. Adriane, I think the reason for the bold type, is that we have reached a record number of posts by going over 100 posts. The site can’t take it! Trying something else to remove bold. Joshua, there are some. If I could I would email a partial list to you. Award for stupidest comment of the thread goes to pretzelberg. Well done pretzelberg.